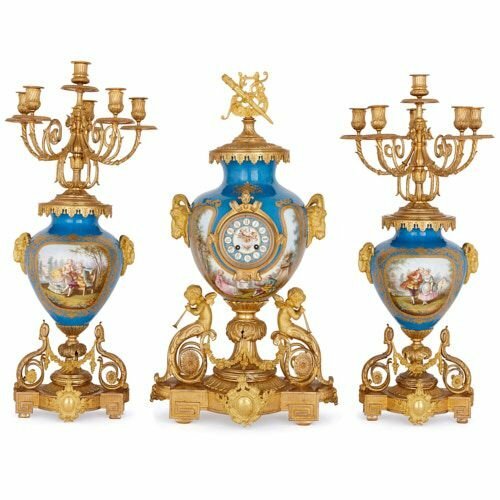 This clock set features fine 18th-Century style paintings of courting couples and exquisitely-detailed ormolu rams’ heads, classical trophies and putti. 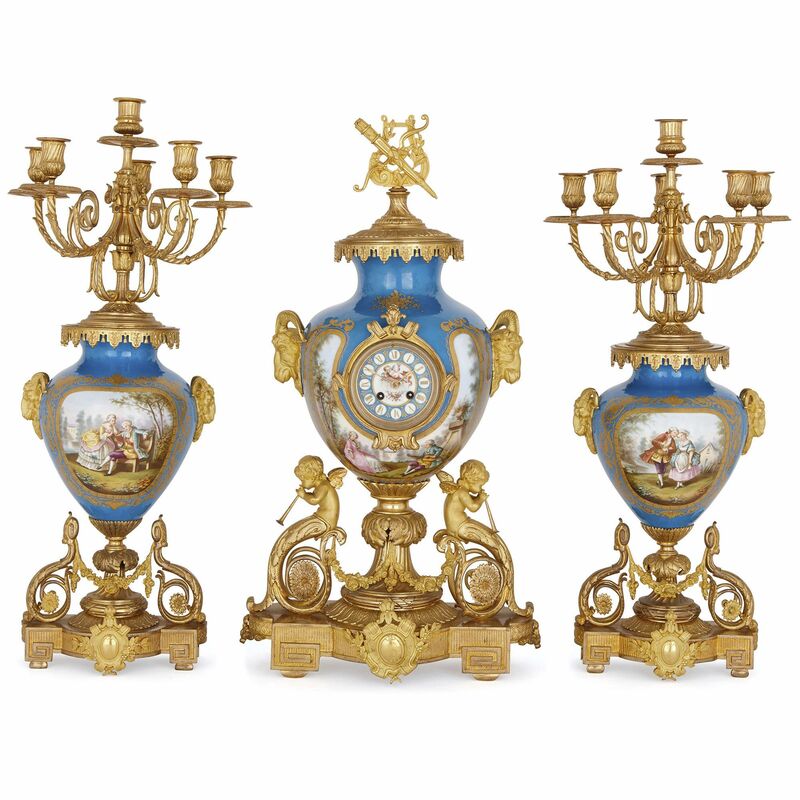 Comprised of a central clock and a pair of flanking candelabra, this set is designed in the elegant 18th-Century Rococo style of the Sèvres Porcelain Manufactory. The clock is placed on a shaped ormolu (gilt bronze) base with two Greek key form wings set on bun feet. The base is mounted at its centre with a classical cartouche, decorated with crossed laurel branches. The base is topped by two ormolu winged putti sculptures, playing trumpets. These have scrolling foliate lower bodies, which are linked by flower festoons. 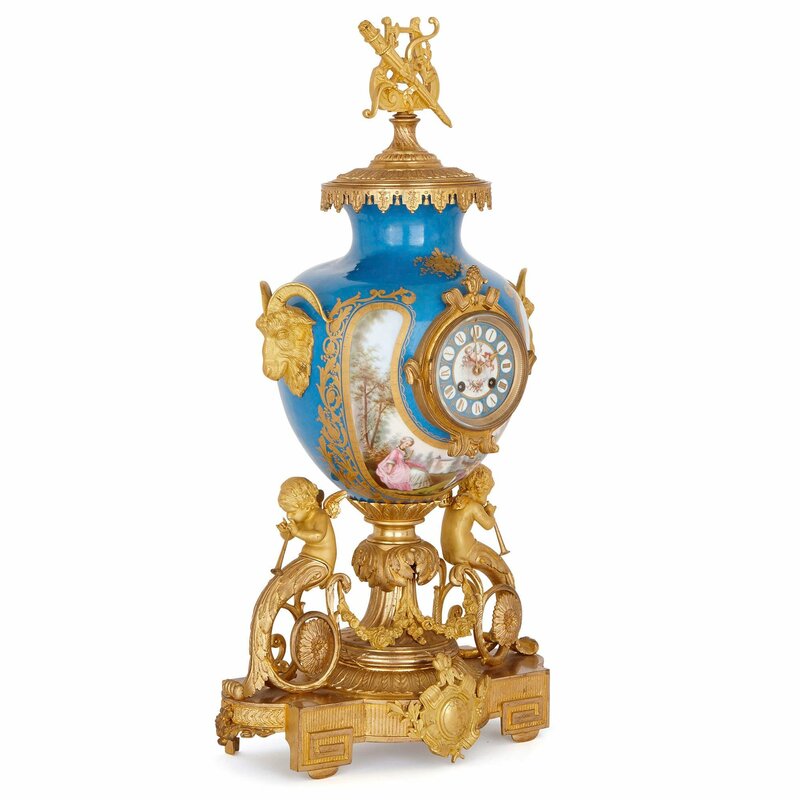 Between the putti is the clock body, which takes the form of a classical vase. 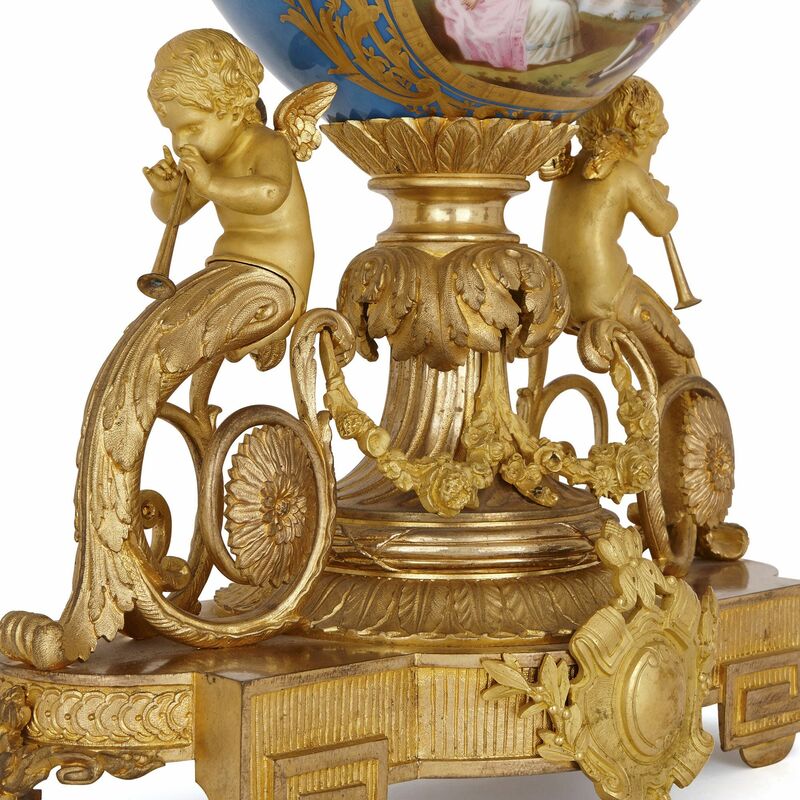 This stands on a foliate ormolu stem, and features an ovoid porcelain body, which is finely decorated with a Sèvres style painting of two young lovers. The painting is set within a parcel gilt frame, placed against a ‘bleu celeste’ ground. 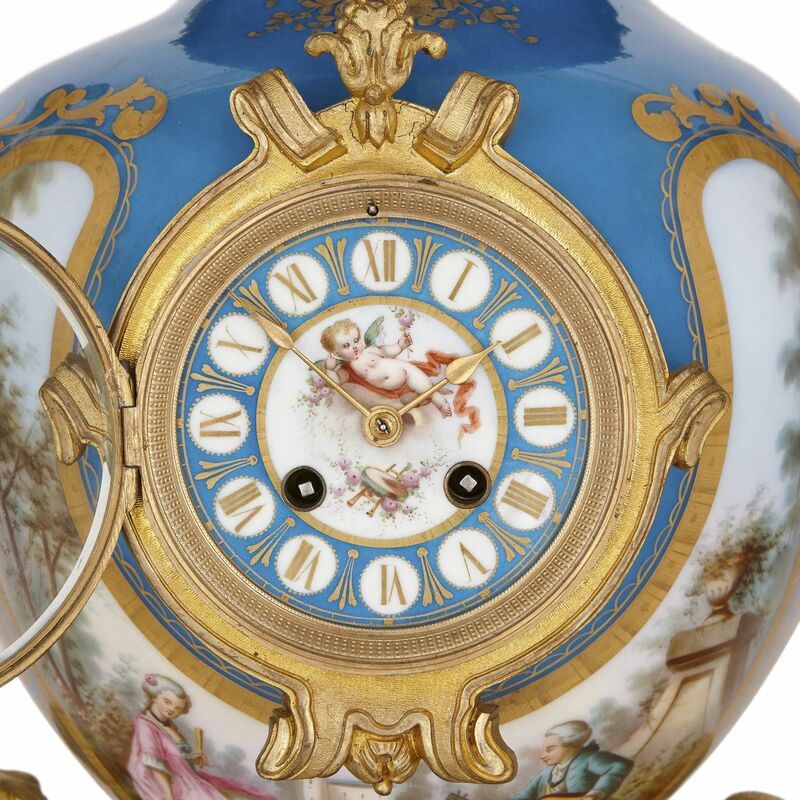 At the centre of the clock body, there is a circular ‘bleu celeste’ dial with parcel gilt Roman Numerals within white medallions, and a central painting of a cherub in flight. The dial is placed within a cartouche-shaped ormolu frame. 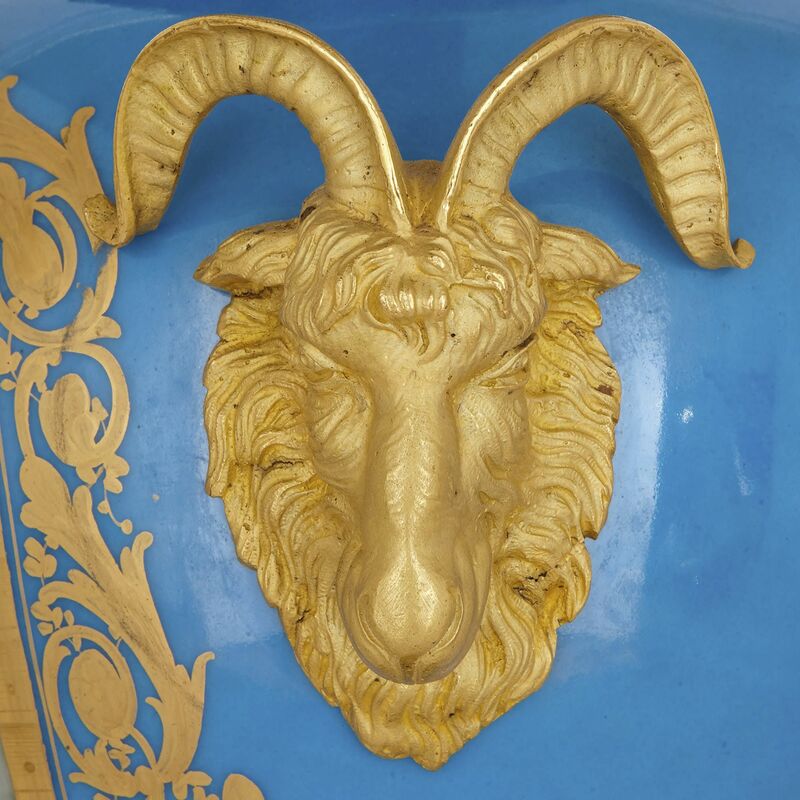 The vase-form body is mounted with two rams’ head ormolu handles, and it is covered by a frilled ormolu lid, crowned by a classical trophy finial. Flanking the clock are a pair of candelabra. 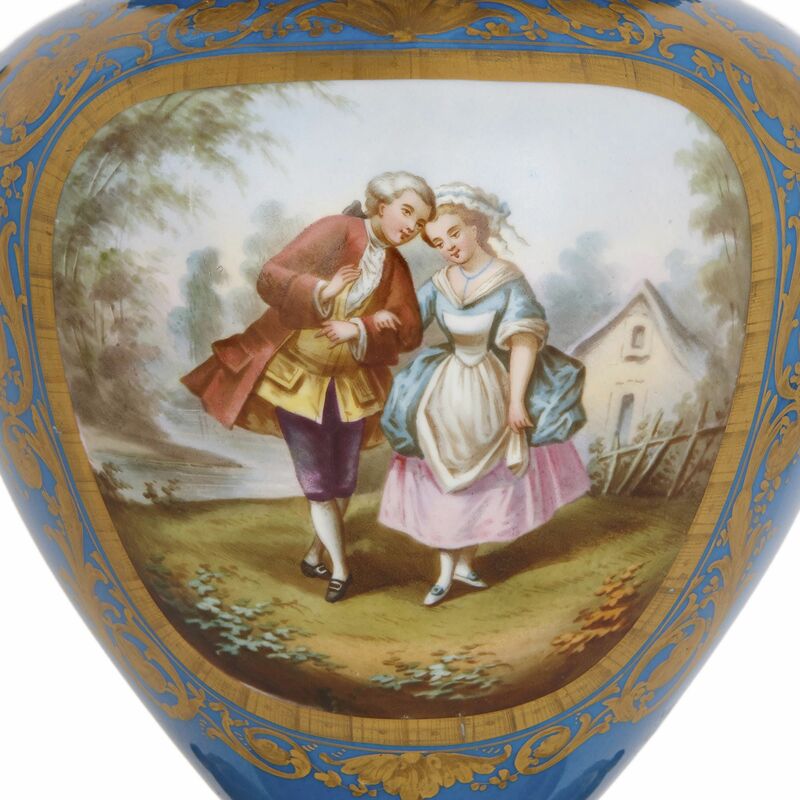 Like the clock, these feature porcelain vase-form bodies, decorated in the Sèvres style with paintings of young lovers, set on ormolu bases. 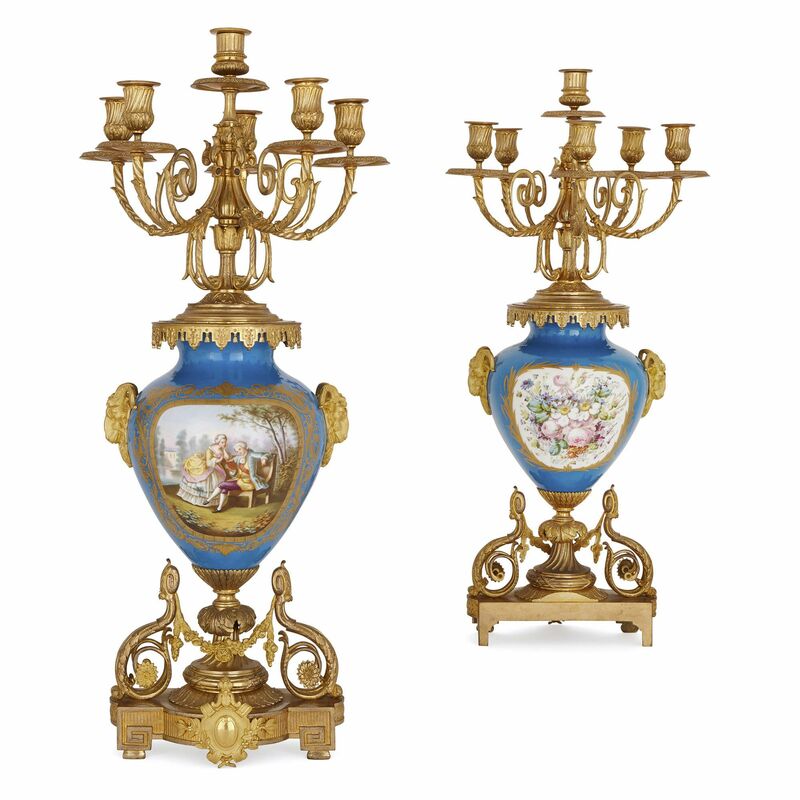 Their bodies are covered with ormolu lids, which are topped by ormolu six-light candelabra. These feature foliate twisted branches, which curl upwards to form wide drip-pans and fluted urn-shaped capitals with simple sconces.